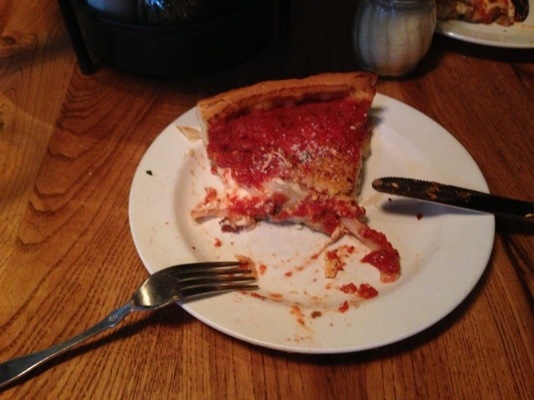 took us Giordano’s for a taste. 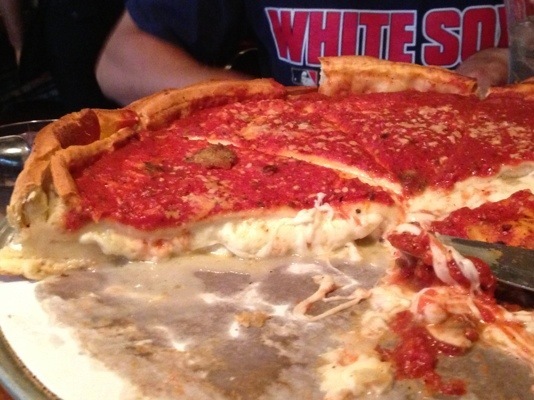 I am not sure what I was imagining deep dish pizza to be, but I could not have been more wrong. I think I was picturing a Sicilian sort of thing, with a thick crust. 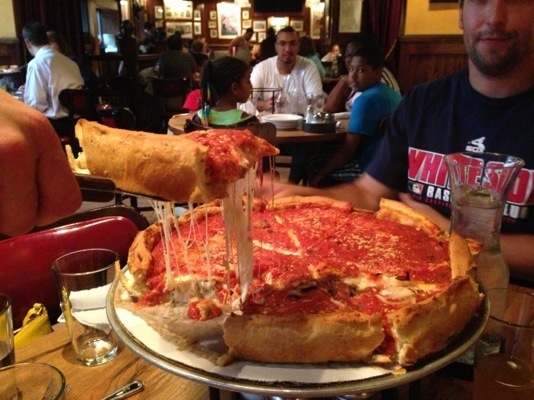 Instead, what arrived on our table was a stuffed pizza. The delicious crust was filled, like a pie, with a melty core of cheese and toppings, about an inch high. All the elements were perfect. The crust was light, sweet and flaky, just thinly lining the bottom of each slice. The sauce was delicious, closer to a thin tomato sauce than a thick marinara (win!). Looks good enuf to eat…..happy trails.